Supermarket giant Tesco is celebrating its 100th anniversary in 2019, enlisting the help of celebrities from decades past, including Mr Blobby and Wolf from Gladiators, to promote deals across the store. The items on offer are designed to celebrate 100 years of great value, and include Andrex toilet tissue, Heinz baked beans, KitKat, PG Tips tea and Cathedral City mature cheddar cheese. A series of ads, featuring Mr Blobby, Wolf and figures from previous decades, such as Sixties mods on mopeds and Seventies roller girls, are promoting the deals and claim Tesco will give you ‘prices that take you back’. But we know that supermarket special offers aren’t always all the same, so we’ve taken a look at the centenary deals to find out whether they really do represent good value. While Tesco doesn’t claim that these are the cheapest prices or largest discounts ever, the level of promotion around the centenary celebrations means we would expect to see unusually good deals. We checked ten of the products on offer, to find out whether the original price was consistent and if the deal price was the same as or cheaper than the cheapest ever price. We found that that this wasn’t the case for two of the ten products we looked at. Cathedral City mature cheddar cheese (550g) is half price at £2.75 (reduced from £5.50). 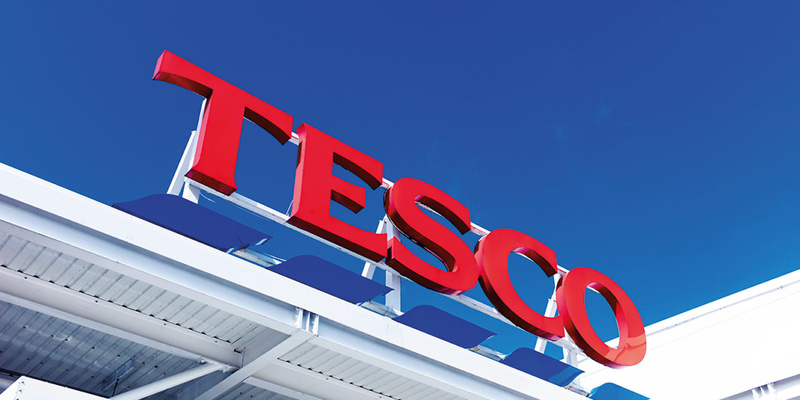 Tesco reported selling 19.8m grams of it online in the first three days of the sale. But we found that it was also priced at £2.75 for at least three weeks in September 2018. It was also on offer at £3 for at least 11 weeks of the year, so if you miss the January deal, then it’s sure to be on offer again soon. PG Tips tea (200 bags) is included in the centenary offers, reduced from £5.60 to £2.80. Our data shows that it was on offer at £2.80 for at least seven weeks during 2018, so there’s no need to rush out to buy a pack – pop the kettle on instead. Andrex toilet tissue (white, nine rolls) is on offer as £4 (was £5.25). However, according to our data, it cost £4.45 until the end of September 2018, when the price increased to £5.25. While priced at £4.45, the pack of nine toilet rolls was frequently on offer at £4 and even dropped to £3.75 for several weeks of the year. It’s not just supermarkets that employ dodgy pricing tactics when it comes to deals. In our Black Friday research, we uncovered plenty of products that were advertised with a higher than usual original price, and found that a whopping 87% of Black Friday prices weren’t the cheapest of the year. In our recent pricing investigation into the cheapest supermarket of 2018, Tesco had an average basket price of £146.29, when we compared prices of 77 popular branded items across the whole year. But which supermarket was crowned the cheapest? Head to the cheapest supermarket of 2018 to find out.